Sohail Bakers sells all kind of bakery items. 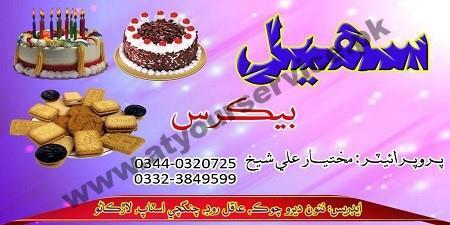 Sohail Bakers is located at Chingchi Stop, Aqil Road, Larkana. It sells all kind of bakery items.